Great hotel, perfect for spending the night before an early flight. Bathroom was dated and moldy. Good sized rooms. Not walking distance to tourist attractions, but near bus stop. Slim restaurant choices. Abundant paid parking. 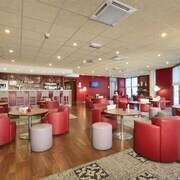 Where to find Lyon hotels near an airport? How can I find hotels in different Lyon neighborhoods? Where can I find hotels in Lyon that are near tourist attractions? If you are planning a vacation in the Rhone-Alpes area and you're looking for accommodation in Lyon, you have a wide list to select from. Our database shows no less than 187 places to base yourself within a 0.1-kilometre (0.06-mile) distance of the heart of Lyon. 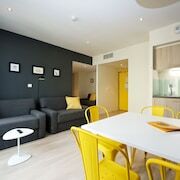 Within a 1-kilometre (0.6-mile) radius of Lyon's center, you will find some great accommodation options, including the Villa Florentine and Cour des Loges. An excellent area to check out is 2nd Arrondissement. 2nd Arrondissement is 2 kilometres (1 mile) from the center of Lyon and has 43 places to base yourself. The Sofitel Lyon Bellecour and Hotel Carlton Lyon - MGallery By Sofitel are some of the Expedia-listed choices in this area. 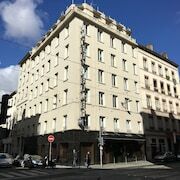 Also popular with those exploring this area is 3rd Arrondissement which is an alternative Lyon hotel neighborhood around 3 kilometres (2 miles) from the middle of Lyon. 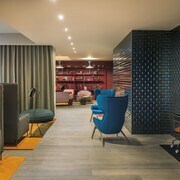 There are 26 hotels in 3rd Arrondissement, including the Best Western Hotel Du Pont Wilson and Radisson Blu Hotel Lyon. Another option is to find somewhere to stay in Bron, which is where you'll find the Novotel Lyon Bron Eurexpo and Hotel Campanile Lyon Est - Bron Eurexpo, and Charbonnieres-les-Bains, which has the Pavillon De La Rotonde and Mercure Lyon Charbonnieres. Tassin-la-Demi-Lune is 6 kilometres (4 miles) from Lyon's downtown, while Villeurbanne is 4 kilometres (3 miles) from the center of Lyon. The Holiday Inn Lyon Vaise and Campanile Lyon Ouest Tassin can be found in Tassin-la-Demi-Lune, while Mercure Lyon Charpennes and Hôtel des Congrès are in Villeurbanne. 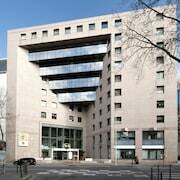 The Le Gourguillon and the Crowne Plaza Lyon - Cite Internationale are both very near Lyon Opera. 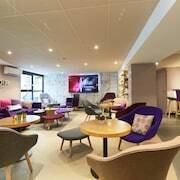 The Arts Hotels - Apartments and the Hotel la Tour Rose are near Roman Theatres of Fourviere. 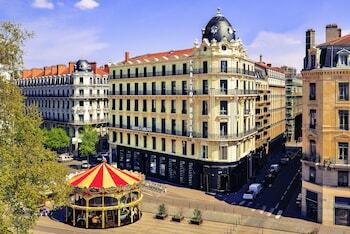 The Bellecour Square and the Terreaux Square are two more much-visited Lyon destinations. 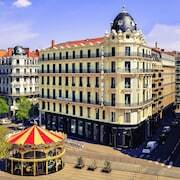 The Warwick Reine Astrid - Lyon and the B4 Grand Hotel Lyon are both close to the Bellecour Square. 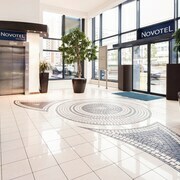 The Hotel Lyon Métropole and the Novotel Lyon Confluence, are close to the Terreaux Square. If you are traveling into or out of Saint-Exupery Airport and are looking to stay nearby try Campanile Lyon Est - Aéroport Saint Exupéry or Premiere Classe Lyon Est - Aéroport Saint Exupéry. 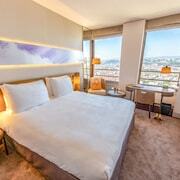 What are the most popular Lyon hotels? Are there hotels in other cities near Lyon? What other types of accommodations are available in Lyon? Explore Lyon with Expedia.ca’s Travel Guides to find the best flights, cars, holiday packages and more!